Who is an English Proofreader? An English proofreader is someone who can read and correct mistakes in English language writing. They’ll probably be a native speaker, but not necessarily, as they’ll need a very good grasp and command of the English language. A proofreader reads your finished document and finds any mistakes that might be left in it. These will often be to do with spelling mistakes, typos or incorrectly used words (e.g. there or their), and grammatical problems. A proofreader needs to be able to maintain concentration for long periods of time. It takes quite a long time to proofread a document fully, so the proofreader needs to be able work well for all this time. One of the most valuable attributes that a proofreader has is that they’ve never seen the document before. 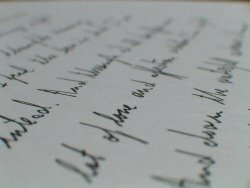 As you can see, from the list of proofreading techniques, which I’ve provided for you to use, one of the biggest problems that someone faces when reading their own work is that they know what they wanted to write and can often miss mistakes, as they read what they meant to write, rather than what they wrote. A proofreader hasn’t seen the document before so they’ll correct what is actually written rather than what the author though they wrote. While proofreading is strictly just looking for mistakes in spelling and grammar,modern online proofreading also includes copyediting: the rewriting of parts of a document so that the language is better. When most people look for a proofreader they also want an English copyeditor, who can improve the whole document. This means that modern proofreaders need to be able to understand the contents of the documents so that they can make judgment calls on whether or not certain sections have been written correctly. If you’re interested in proofreading you’ll find more information in this website, in the proofreading section and in the other sections which deal with aspects of non-fiction writing. If you need a proofreader you can see the page about me and the page about my service, to see if I could help you. Return to Proofreading and Copyediting from Who is an English Proofreader? Return to Excellent Proofreading and Writing Homepage from Who is an English proofreader?